It never ceases to amaze me that a dragonfly pops out of a case that is so clearly too small for it. 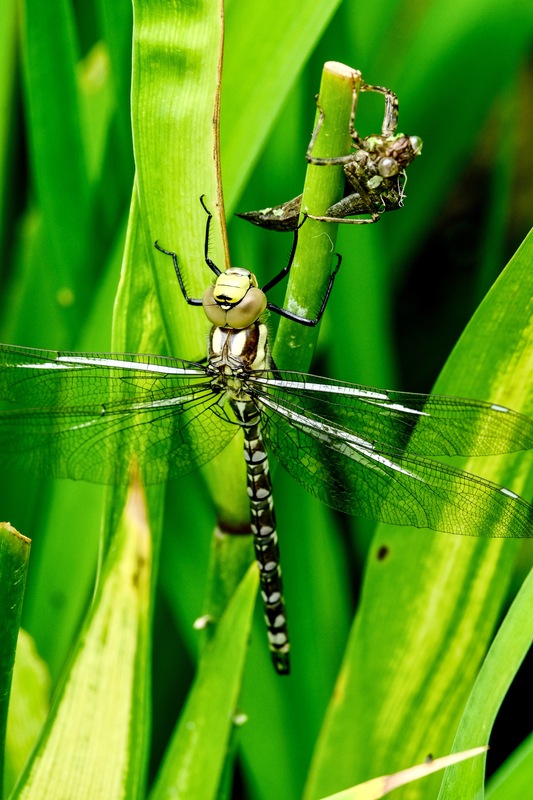 This delicate creature lurks about in the pond for two or three years in a rather unpleasant looking form eating anything that moves then one day it decides to climb out, burst its skin and reveal itself as a dragonfly. It’s old skin is above it on the leaf. It will puff out and get dry, then fly away.